We have met a fair few medical types here at the salon, often courtesy of my charming Edinburgh friend, the estimable Dr Dillingham. As we enjoyed tea and watched the world pass by I asked the good doctor if he might have another tale to tell and he shared the story of John Abernethy, a most singular sort of chap. 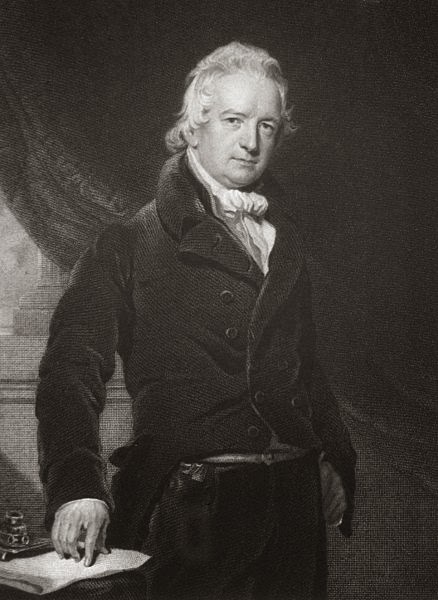 Born the son of successful merchant, Abernethy enjoyed a good education at Wolverhampton Grammar School and decided early in his life that he intended to follow a career in medicine. Aged just 15 he won the position of apprentice to Sir Charles Blicke and assisted his surgeries at St Bartholomew's Hospital. A dedicated and driven young man, he attended lectures and demonstrations given by our old friend, Percivall Pott and when Blicke succeeded Pott as surgeon of St Bartholomew's in 1787, Abernethy was named assistant-surgeon. He married Anne Threlfall in 1800, by now a pillar of St Bartholomew's, where he would remain for nearly three decades. Abernethy became known for the quality of his medical lectures and soon he had to give up his plans to host them in his own home as the demand far outstripped capacity. Instead, the governors of St Bartholomew's built a lecture theatre for Abernethy's use and he became the founder of the hospital's famed medical school. Although noted as a medical educationalist, he was less famed as a surgeon than Blicke or Pott though he did succeed Blicke as surgeon in 1815. Abernethy was utterly outraged to discover in 1824 that his lectures had been published in The Lancet by Thomas Wakley, who had not sought the surgeon's permission. Wakley responded that his sharing of the lecture content was a democratic move and would prevent medical knowledge being disseminated only among an academic elite. The furious Abernethy attempted to bring the matter to court but his case was rejected, an occurrence he never accepted. However, there was another side to Abernethy and he became known for his rigid and strongly-held opinions. He taught from his own book, Surgical Observations on the Constitutional Origin and Treatment of Local Diseases, and countenanced no contradiction, dryly deriding any who questioned him and making occasionally influential enemies. The irascible surgeon did not trouble himself with developing a bedside manner and treated his patients with the same brusque approach that he brought to his students and colleagues. Despite or perhaps because of these eccentricities, Abernethy became famed in London. He amassed a small fortune thanks to an appointment book full of extremely wealthy patients who would travel from as far as Scotland to attend his surgery. Abernethy retired in 1827 as a result of failing health and died at home four years later. What an outrageous theft of this man's intellectual property! I'm not surprised he was fuming! I read this at first to see if he was responsible for making Abernethy biscuits, which I love, but then I found out that he'd done a whole bunch of other stuff much more important.... I guess!!! I think biscuits are pretty important too... they are to me, anyway!